Raymond Collins is the President of PF Collins International Trade Solutions, a fourth-generation international trade and project logistics provider employing over 100 staff in St. John’s, Halifax, and Calgary. As head of the Executive Management team, Raymond is responsible for guiding the strategic direction of the company’s operations in Canada and internationally. Joining the family business in 2000, Raymond has contributed significantly to the strategic growth and success of the company through his management of the organization’s operational departments, the acquisition of major contracts, and his leadership in the advancement of the company’s technology and LEAN culture. Past-Chair of Noia, Canada’s largest offshore oil & gas industry association, Raymond’s expertise in project logistics consulting to Canada’s offshore developments has focused his efforts towards exploration attraction and Federal Government-industry relations. Raymond is an Economics graduate from Memorial University and holds an MBA from St. Mary’s University. He is a Qualified Officer under the Canada Border Services Agency’s Customs Broker Licencing requirements, and a Certified Customs Specialist through the Canadian Society of Customs Brokers. 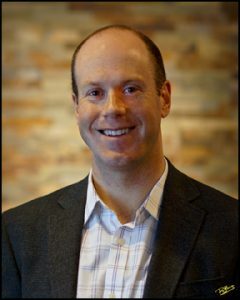 Gerry Mayo is PF Collins’ VP, Operations, responsible for managing the organization’s Freight Forwarding, Warehousing and Distribution, Marine Agency, and Immigration Consulting departments. Gerry is a Chartered Accountant and experienced senior manager who has served in numerous operational and financial leadership positions in both the private and public sectors, including 10 years as Base Manager for FMC Technologies. 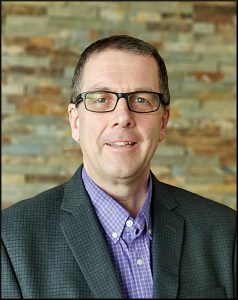 Gerry’s formal education includes a Bachelor of Commerce (Honours) from Memorial University, a Diploma in Project Management from the Norwegian School of Management, as well as extensive subsea technical, operations, and equipment training. He also greatly contributes to various charitable and community organizations, including the Kids Eat Smart Foundation and local school councils. 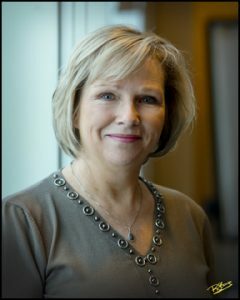 Susan Collins is PF Collins’ Vice-President of Business Development, responsible for overseeing strategic planning, client services, contract administration, and marketing and sales activities. With over 15 years of experience, Susan specializes in project transportation, out-of-gauge cargoes, and overall logistics for the energy and offshore industries. 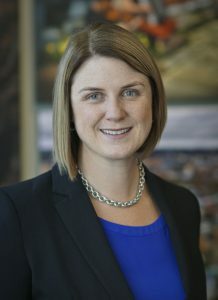 After graduation from Memorial University with a Bachelor of Commerce in 2003, Susan held positions in materials management, project logistics, and corporate tax affairs with Trident Exploration and Pentagon Freight Services in Calgary before returning to Newfoundland to join the family business. Her tenure with PF Collins included roles within the company’s Freight Forwarding and Import Departments before being promoted to Marketing & Sales Manager in 2010. An active community volunteer, Susan currently sits on a number of Boards, including the Royal St. John’s Regatta Committee, Special Olympics Newfoundland and Labrador, and the Dr. H. Bliss Murphy Cancer Care Foundation. As part of the Executive Management team, Karen Holden has greatly contributed to the successful growth of the company through roles in Administration, Finance, and Human Resources. 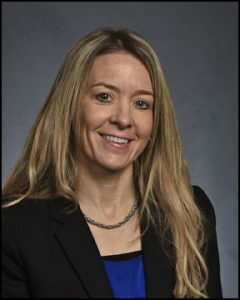 Appointed VP, Organizational Effectiveness in December 2013 she is responsible for developing and implementing organizational effectiveness and talent optimization practices that align with the company’s strategic objectives and drive business results. Karen’s formal education includes designations through Memorial University, College of the North Atlantic, the Certified General Accountants Association, the Canadian Payroll Association, and the International Personnel Management Association. Deborah Osborne joined PF Collins in November 2015 as VP, Customs & Consulting, responsible for overseeing the company’s Customs Brokerage and Customs Consulting/Compliance services across Canada. Over the course of her career she has played a key role in enhancing performance standards through a combination of process re-engineering and dedication to compliance strategy execution. 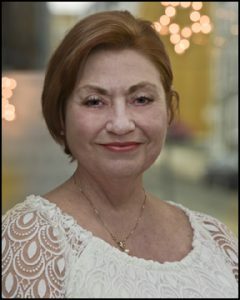 Deborah is a licensed Customs Broker and senior manager with over 30 years of experience in implementing customs brokerage and trade compliance programs across US and Canada and providing strategic direction and training support to versatile industries. She has proven expertise in developing corporate policies and procedures while setting company-wide compliance priorities and maintaining a functionally integrated compliance structure. An exceptional communicator, Deborah is internationally recognized for aggressively identifying growth opportunities and providing tactical solutions that reduce inefficiencies, increase accountability, and accomplish KPI and profitability goals. She regularly hosts customs training seminars and workshops to assist business owners, customs brokers, importers, exporters, managers, purchasing agents, lawyers, and buyers on a variety of Canada & US customs-related topics. As part of the Executive Management team, Deborah reports directly to the President and manages all PFC’s customs operations, including special projects, software enhancement, development of internal and external SOPs, KPIs, RPIs, and the Compliance & Consulting department. In addition to her duties as VP, Customs & Consulting with PF Collins, Deborah is currently serving on the Canadian Society of Customs Broker (CSCB) Board of Directors. As Controller, Sharlene Goobie coordinates the daily activities of the Accounting and Administration Department and directs company financial planning and budget management functions for all departments and office locations. Upon graduation from Memorial University in 2001 with a Bachelor of Commerce, Sharlene articled with Quinlan and Taylor Chartered Accountants in St. John’s and obtained her Chartered Accountant (CA) designation in 2003. In 2005, she accepted a position with Chevron Canada Limited, working from their offices in Bermuda for four years before returning home and joining PF Collins in 2009. In addition to her role as part of PF Collins’ Executive Management, Sharlene heads PF Collins’ LEAN implementation team and has completed LEAN Levels I and II certification through the Canadian Manufacturers and Exporters (CME). Since its inception in late 2011, the team has facilitated successful LEAN Kaizen events in each of PF Collins’ departments, contributing to improvements in employee morale, quality, and customer service. Since 2010, Sharlene has represented PF Collins as a member of the Fluent Manufacturing Consortium and Director of the Newfoundland division of CME and, in January 2015, was elected Chair of the Fluent Manufacturing Consortium.